Spokane Roofing Company®’s commercial roofing services are unmatched for reliability and workmanship. We use only the top quality single-ply roofing and metal roofing systems for commercial roof installation, recover and repair. Single-ply roofing systems typically appear on commercial flat roofs. Roofing materials include thermoplastic polyolefin (TPO), polyvinyl chloride (PVC), ethylene propylene diene monomer (EPDM) and ketone ethylene ester (KEE). Tri-State Hospital Reroofing a Success – Clarkston, Washington. Public Works PVC Roof Replacement – US Post Office – Bonners Ferry, Idaho. Industrial Roof Drainage Problems Solved – Spokane, Washington. Spokane Roofing Certified As FiberTite Roofing Approved Applicator. Spokane Roofing uses roof coatings to extend the lives of existing metal roof systems. To seal leaks around grommets, SRC applies Henry® and Karnak® aluminum roof coatings, or GAF Topcoat, a fluid-based rubber system. When sealants are not enough, retrofitting a commercial metal roof with TPO is a cost-effective alternative to replacing the entire metal roof. SRC typically checks and cleans commercial flat roofs twice a year, in March and November. Drains and scuppers frequently become clogged with debris and need cleaning. A regular Commercial Maintenance Program can determine the need for updated insulation, as well. Roof inspections are about prevention and detection. It is important to identify damage to vulnerable membrane roofing systems. TPO, PVC, EPDM and KEE roof punctures can compromise an entire roofing system, including rigid insulation. Spokane Roofing offers Roof Asset management as a premium roof inspection and lifetime management service. Spokane Roofing maintains a 24-hour emergency response hotline linked to key company personnel, if your roof requires immediate repairs. Roof repairs are cheaper than roof replacements, so proactive maintenance is a wise strategy. Recovering your roof is the next best option, because it leaves the existing roof in place, saving time and money. If your roof must be replaced, Spokane Roofing has the experience and expertise to do the job right. If asbestos were found, SRC is fully certified in Asbestos Abatement during the roof demolition process. 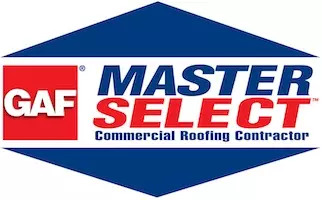 Spokane Roofing Company maintains commercial roofing contractor certifications with premier roofing manufacturers, including GAF, Versico Roofing Systems, Firestone Building Products, FiberTite and Metal Sales. Spokane Roofing Company works with local emergency response crews, typically Servpro® and ServiceMaster®, when same-day response is necessary. Insurance claims adjustors join with SRC and business owners in this process. Browse our gallery of quality Commercial Roofing Projects completed by Spokane Roofing Company.